Do You Know What Should & Shouldn’t Be Kept In Your Fridge? 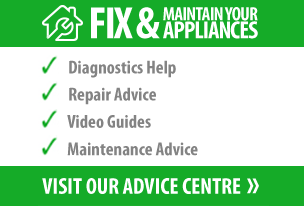 Previously at BuySpares we have discussed within our blog how to keep your fridge clean and running, how to maintain the fridge and how to keep it at a steady temperature. Whilst all of these are important to get the most from the appliance, it is also important to make sure that you’re storing the right things within it. 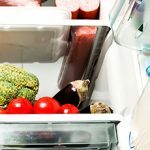 To help make sure you’re storing the right food within your fridge, below we’ve outlined some of the food you should and shouldn’t refrigerate – despite common misconceptions. 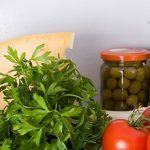 There are some foods which as a child your parents may have kept in the fridge and through habit you’ve also opted to store there; under the belief that doing so helps them last for longer. Onions – naturally these have a long shelf life and don’t need the humid conditions of the salad crisper drawer. Instead, your onions should be kept in a cool, dry, dark cupboard. Tomatoes – keeping tomatoes in the fridge can affect their taste. It can also result in them going off quicker. To keep your tomatoes tastier and fresher for longer, store them in an open container on your kitchen worktop. Honey – when kept in the fridge, honey is likely to crystallise. Ideally, it should be stored in a dry place, at room temperature – even once opened. Citrus Fruits – as we’ve previously discussed, lemons can be great to use around the home. However, your lemons and other citrus fruits should never be stored in the fridge. Storing citrus fruits in such a fashion will cause “chill damage” which will lead to rougher peel and the fruits becoming drier inside. Melon – the melon is slightly different to the rest of the food listed above. If it hasn’t been sliced, then it should not be kept in the fridge; instead it should be kept at room temperature to keep the antioxidant levels intact. Once cut however, the melon should be kept in the fridge. Whilst there are some food products which everyone keeps in the fridge, such as milk, cheese and cream, there are those products which fall on the fence as to where the best place to store them is. Ketchup – previously ketchup had high salt and sugar content, meaning it didn’t need to be kept chilled. However, with the salt and sugar content being reduced, it is now recommended to keep your ketchup refrigerated; and this can help maintain its quality for up-to 6 months. Mayonnaise – the ingredients which make up mayonnaise, particularly eggs and cream, can spoil quickly which means your mayonnaise must be kept in the fridge. Pickles – pickles such as gherkins and pickled onions once opened can stay fresh and edible for up-to a year within the fridge. The same is true for brine packed jars of olives. Mustard – before being opened, as with many condiments, these can be stored within a cupboard. As soon as opened though, mustard should be kept within the fridge. Knowing which products to store in your fridge will help you to keep unpleasant odours at bay. Are there any other products which you can think of which should or shouldn’t be kept refrigerated, but often are? Share them in the comment section below.